The Chicago Cubs and Cleveland Indians have been two of the top teams in baseball recently and look primed to make another run at a World Series title. However, Baseball Prospectus expects one of those two contenders to take a step back in 2019, and it's probably not the club you're thinking. The Cubs, according to Baseball Prospectus, are projected to finish dead last in the NL Central with just 79 wins, a far cry from their over/under win total of 88.5, via FanDuel Sportsbook. The Cleveland Indians, by comparison, are projected to win 96 games this upcoming season, compared to a 90.5 win over/under on FanDuel Sportsbook. Will your squad be better or worse? It's pretty astounding, to say the least, but, and take this with a grain of salt, understandable. 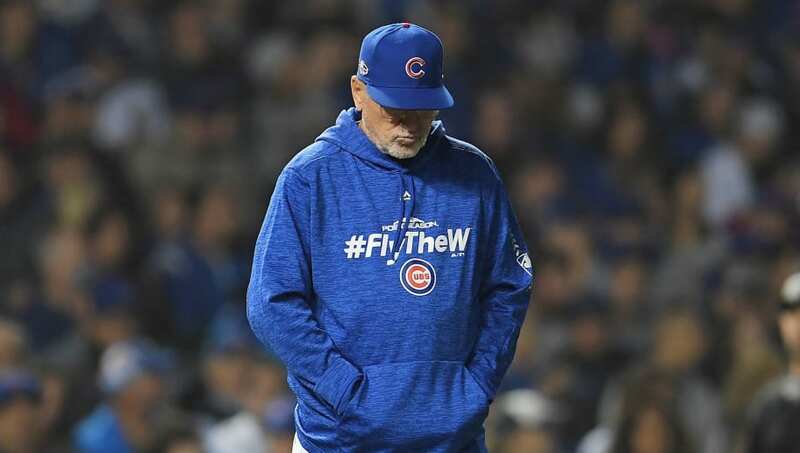 The Cubs play in arguably the toughest division in the MLB and will face some stiff competition this season now that the St. Louis Cardinals, Cincinnati Reds, and Pittsburgh Pirates have improved their rosters. And let's not forget about the defending division champion Milwaukee Brewers. As for the Indians, the Central is supposed to be down once again, especially after the White Sox failed to land any big stars. Where FanDuel Sportsbook and Baseball Prospectus seem to agree, however, is how the NL East race will shake out at the end of the year. The Philadelphia Phillies (88.5), Washington Nationals (87.5), New York Mets (85.5), Atlanta Braves (85.5) and Miami Marlins (64.5) all have over/under's that aren't too far off from Baseball Prospectus' projections. There's still plenty of time before the season begins and something is bound to happen that will shake things up by Opening Day. If you're a Cubs fan, just hope things change for the better.